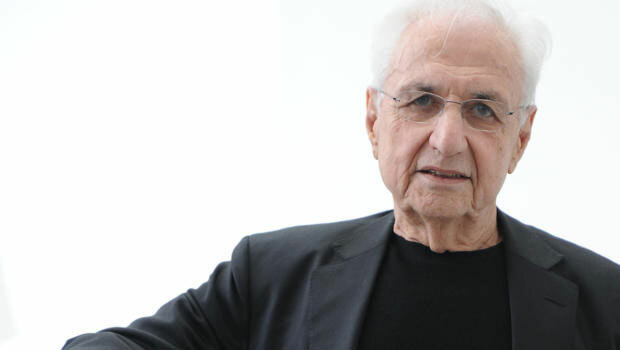 Architect of Walt Disney Concert Hall, Frank Owen Gehry was born in Canada on February 28, 1929. Gehry is worldwide famous for his sculptural and rather bold work. In 1947, he moved to Los Angeles and studied different courses at Los Angeles City College. During this time he took the architecture course as well and got captivated by variety of possibilities of art. Frank Gehry studied architecture from 1949-1954 at University of Southern California and city planning at Harvard University from 1956-57 but couldn’t complete this degree. After working for a number of firms, Gehry founded his own firm in 1962 in Los Angeles. The initial work of Gehry was inspired by International Style of Le Corbusier but later his inner instincts forced him to add his personal flavor to the work he was doing. In early days, Gehry worked on furniture designs instead of buildings and this is why the initial fame earned by him was due to his furniture designing. Since Gehry stayed in the company of sculptors and painters for a notable period of time, he was always finding new ways to work with overlooked by products of prevailing industrial civilization. Influenced by this approach, Gehry made furniture from industrial corrugated cardboard and encountered an unexpected popularity. Frank Gehry brought about reforms in domestic architecture and used unloved and ordinary housing elements like chain link fencing, corrugated aluminum and unfinished plywood as elements of focus and turned them into exuberant and expressive characters of houses. Another unique step taken by Gehry was revelation of building structures by stripping the interior walls. With much appreciation, the confidence of Gehry boosted up and he kept translating his imaginations into realistic masterpieces. The Vitra furniture factory in Basel, Switzerland and the Vitra Design Museum in Weil-am-Rhein, Germany were the projects that won him prominent position among world famous architects by the end of mid 80s. The most unique feature of his work was its humorous and playful nature, something never done before. He introduced a new style called “Deconstructivism”, by transforming simple and familiar geometric shapes into extravagant forms touching upon exceptional levels of complexity. Due to the fun and playful character of his style, Gehry shortly gained repute for his music venues. Some of his creations of great acclaim include, The Walt Disney Concert Hall in Los Angeles, the Bilbao museum, The Jay Pritzker Pavilion in Chicago’s Millennium Park, the Performing Arts Center for Bard College, New York and the New World Center for the New World Symphony orchestral academy in Miami Beach, Florida. Along with challenging forms, unusual choice of material is also Gehry’s trademark. He likes to give crude and unfinished look to his buildings with materials like corrugated metal. Gehry’s buildings stand out in any sort of context, however, it is also said that work of Frank Gehry is mostly unconcerned with contextual considerations and also lacks making a profitable use of urban spaces. Another credit that goes to Gehry’s account is his professional commitment with budget. In spite of making such complex and luxuriant designs, he possesses the trait of successful budgeting. Gehry has also worked as an architecture professor at Columbia University, Yale and the University of Southern California. Other than that he can also be seen in different television programs including The Simpsons, advertisements for Apple and a documentary film, Sketches of Frank Gehry, focusing on the architect’s work and legacy.